[The study abroad short course] is a great learning experience you can't get here. Barbara Cheakalos first heard about ENCE489G from Dr. Dimitrious Goulias, who was teaching her ENCE300 class. 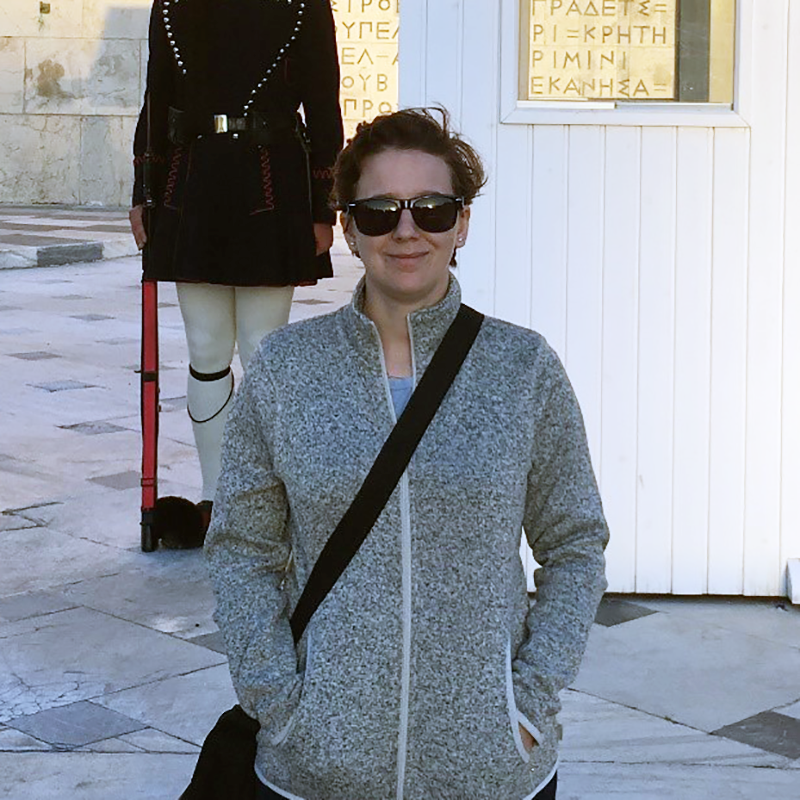 The idea of going to Greece was exciting for her because of her own Greek heritage; her father is Greek, but she had only been to Greece once, 13 years earlier. She also felt that a short-term study abroad program would be more manageable for her than a full semester. Furthermore, she says she “loves learning about sustainability,” so she felt it would be a great opportunity. Barbara says it was a “mind-opening” experience getting to see the sights and their engineering and structural aspects, particularly the ancient infrastructure. Getting to do so with other engineers was “very beneficial,” she says, as she noticed things she wouldn’t have otherwise, including ancient forms of engineering like aqueducts. Barbara says she learned a lot about time management from the project in which the students worked on redesigning a town square. Getting to go see the site they’d be redesigning in person was extremely helpful as it allowed the students to pick up on details like the quality of the road. She also learned a lot from a panel with architects and engineers in which the students got to interact with the professionals. “I got the sustainability perspective from another country,” she says, and this made her more aware of sustainability as a “worldwide project.” “It’s not just the U.S. or the people you see on the news doing sustainability,” she says. When it came to the students’ exposure to Greek culture, Barbara says she enjoyed seeing how friendly everyone they met was. Her proficiency in the Greek language enabled her to help translate for the other students when necessary. Being in Athens also gave her the chance to meet up with a few of her Greek relatives. She also enjoyed the food: “Almost every meal we had was amazing,” she says. Barbara says she would “totally recommend the course to anyone,” adding: “It’s a great learning experience you can’t get here [on campus].” She adds that the application was easy and that scholarships for short-term study abroad are available. 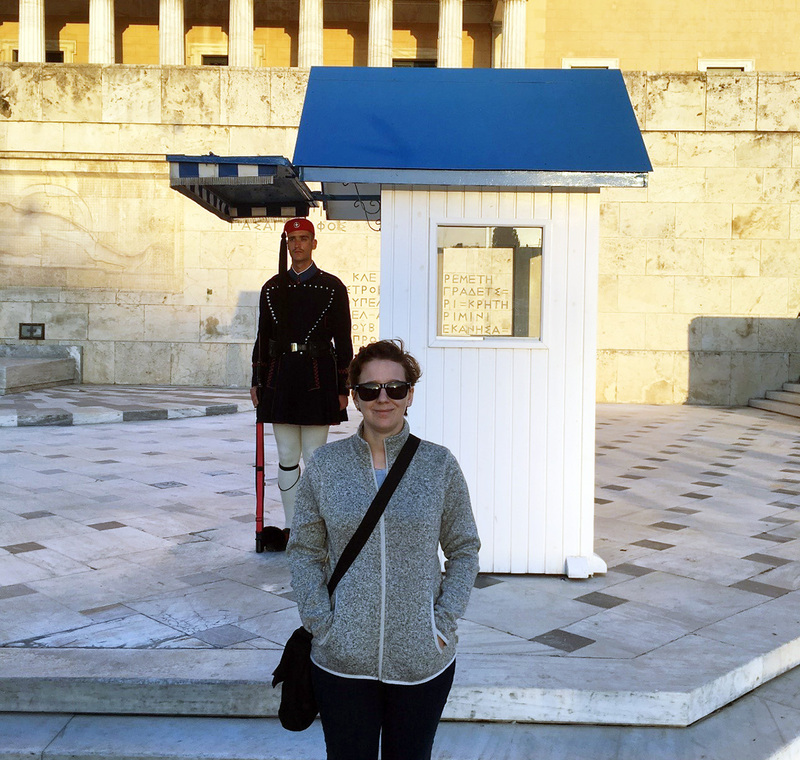 “It’s a great deal,” she says, even though with so much packed into one week, she says, “I couldn’t take it all in.” She is looking forward to returning to Greece to visit her relatives after graduation. She even hopes to go back with them to some of the places she explored on this trip.